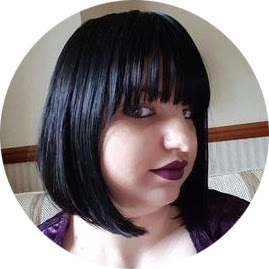 So I am taking part in another nail art challenge and this time I am getting my geek on with the Superhero challenge with five other UK based nail bloggers! The first challenge is Marvel and today I am going to show you a villain. Can you guess who it is? I think this is pretty to easy to guess. That's right The Red Skull. Can you believe that I only just watched Captain America last week? Shame on me! Here he is in his comic book form. 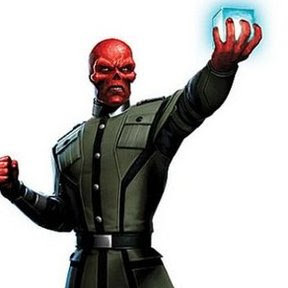 The Red Skull is the perfect propaganda villain. How can you get more evil? I chose a Grey base to represent the HYDRA uniform that he wears. Two coats of Essence The Dawn is Broken a grey with tiny micro black glitter stippled (with a nail art brush) over the top with Essence We Will Rock You, a Smoke effect topper. I love the effect of this, it gives just enough depth to the manicure. I used more Essence for the Glitter, Blair from the Twins collection, a sliver almost gun-mental grey glitter, which is a mix of hexes and micro glitter. For the accent nail I used a nail stencil in the shape of a skull that I luckily had lying around and carefully used Barry M Red to create the skull. I then used a matte topcoat to make this manicure look mean and evil! I have such a love for matte glitter and I love the base of this manicure. I am not a fan of grey polish but this looks so interesting and everyone who saw this manicure loved it! 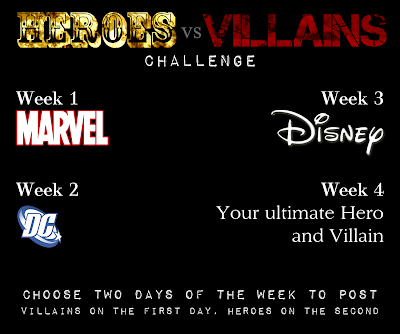 And join me on Thursday for the Marvel Hero (or Hero's hint hint). Why do people feel the need to be totally rude. We would have all been just fine if Anonymous had kept their thoughts to them self. Well done, you've done a great job with this! Love this! The matte adds a very sinister twist!